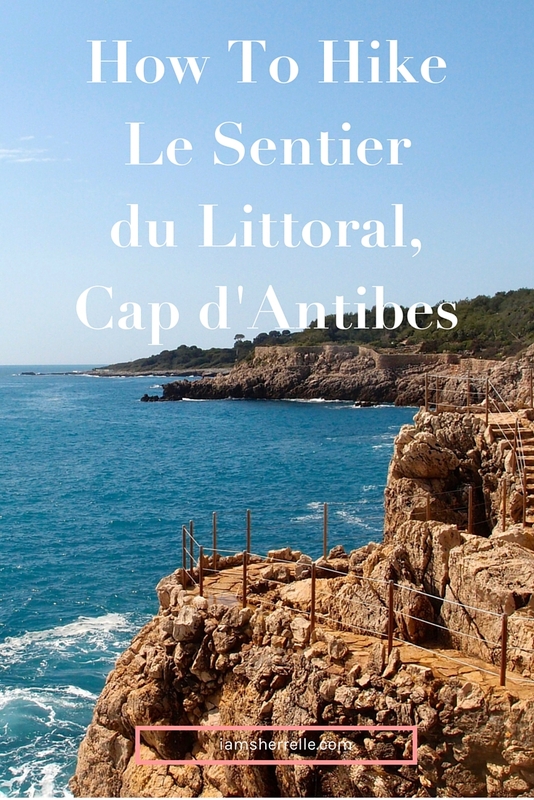 As you read in my last post about the South of France, my daughter and I had a great time exploring many parts of Antibes, but our absolutely favorite activity was hiking Le Sentier du Littoral, Cap d’Antibes. I was nervous hiking with my daughter because I had read that the hike could be a bit dangerous in places. This sign at the beginning of the trail didn’t help at all. Or the thin wire fence as the sole barrier keeping us from plunging into the churning water below. In spite of this we went anyway and while parts of the trail did feel a bit dangerous, it was incredible. The greenery, the blue water, the snow-capped alps in the distance – the view was one of the most beautiful I had ever seen. We stopped mid-way for a snack, but the people sitting below us really knew how to picnic. They had cheese, bread, sausage and wine – complete with a cutting board and corkscrew. Next time I know what to do! From Old Antibes we took the bus #2 and walked to plage de la Garoupe where we began our hike (you can also do it in reverse). 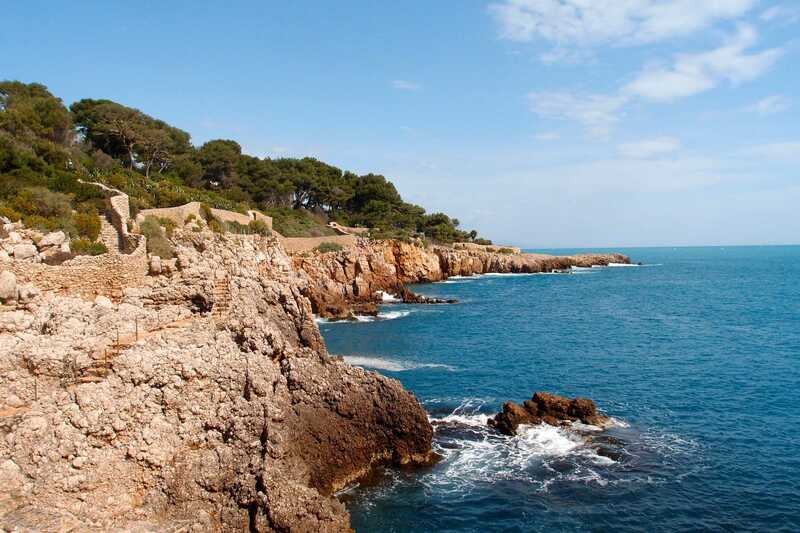 There are 2-3 restaurants on plage de la Garoupe. We bought a drink at one just to use the bathroom before the hike. 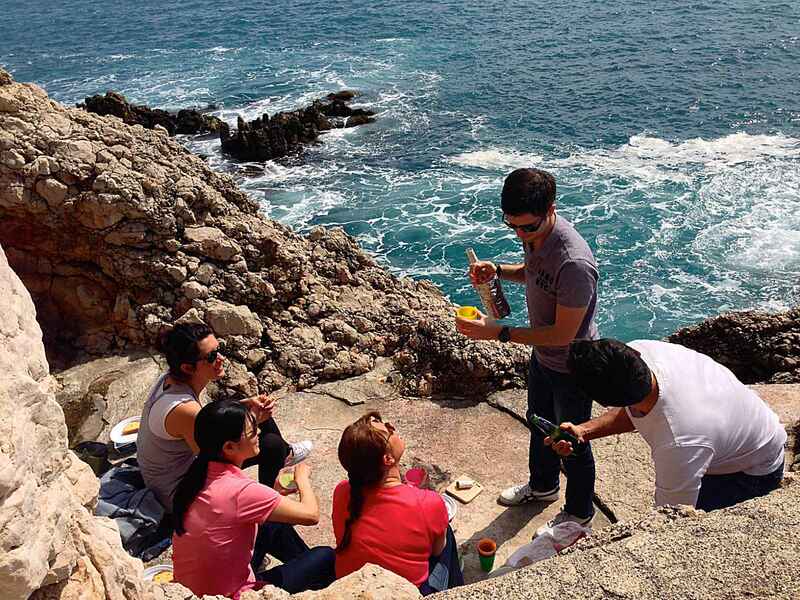 There are several places to stop and eat on the rocks, so bring food. Wear sturdy shoes! 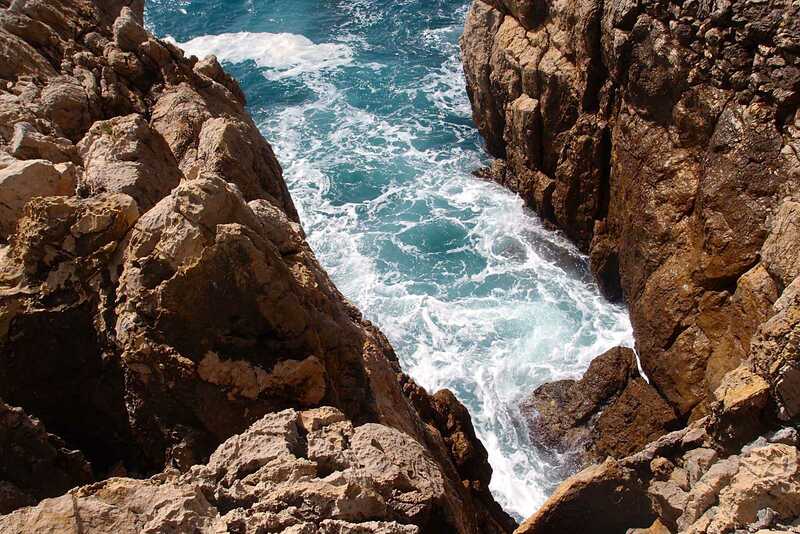 It’s very rocky and you need sure footing. Wear sunscreen; there is no shade. If it is summer, go early, it can get very hot. We saw children on the trail, but use your judgement. If your child doesn’t listen well or is particularly energetic, it may not be a good idea; the trail is very narrow and very high in places – it is not a place for fooling around. 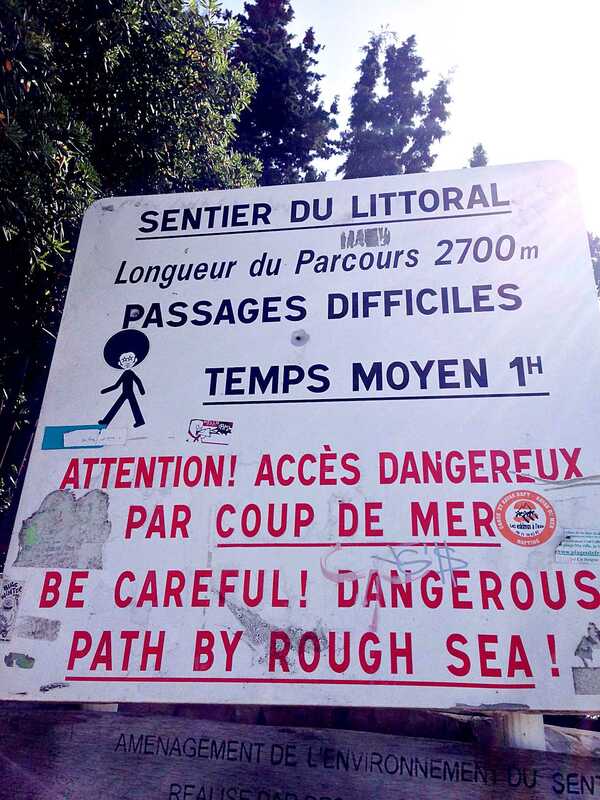 The trail is closed on very windy days because there is a real danger of being blown into the sea and the rocks below. The hike took us 1.5+ hours but we stopped a lot; it can be done in an hour. We made an iPhone video so you can get some idea of the hike, but the magnificence really has to be experienced in person. 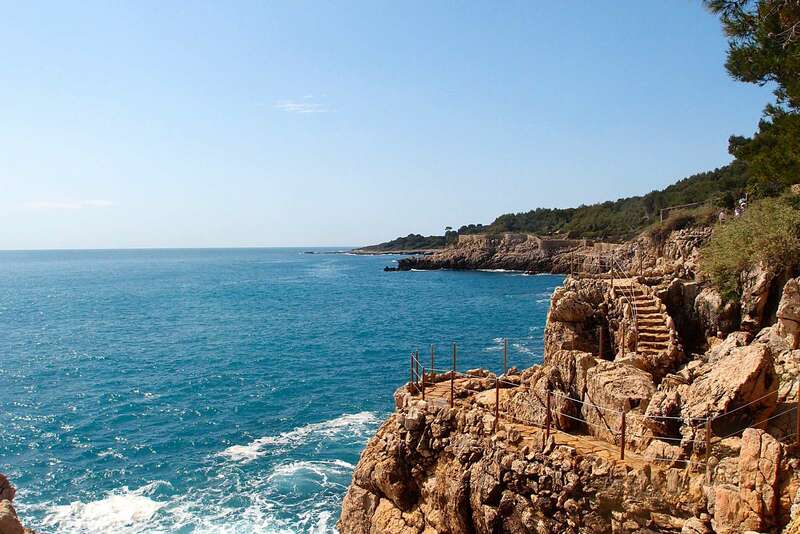 Le Sentier du Littoral trail is an absolute must if you visit the Côte d’Azur! P.S. You may also like to read other posts about France. 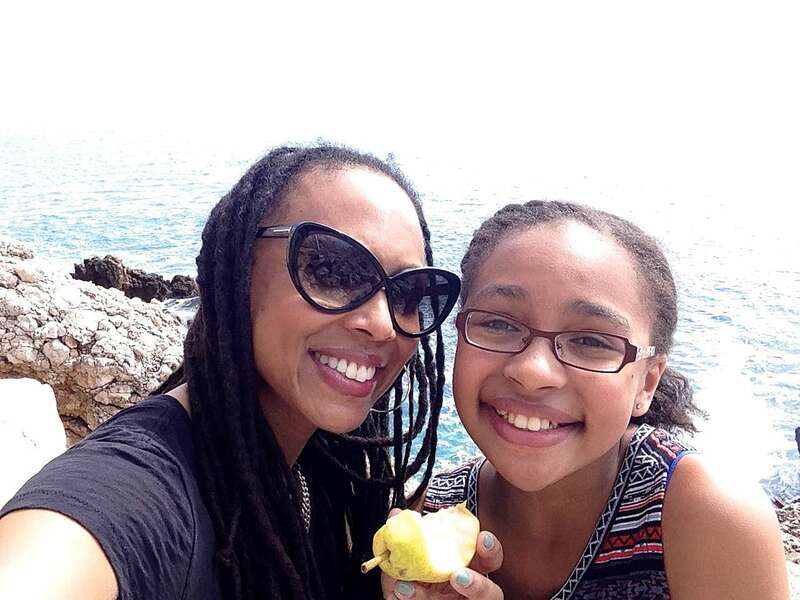 Thank you, Sherrelle, to you and your beautiful daughter. 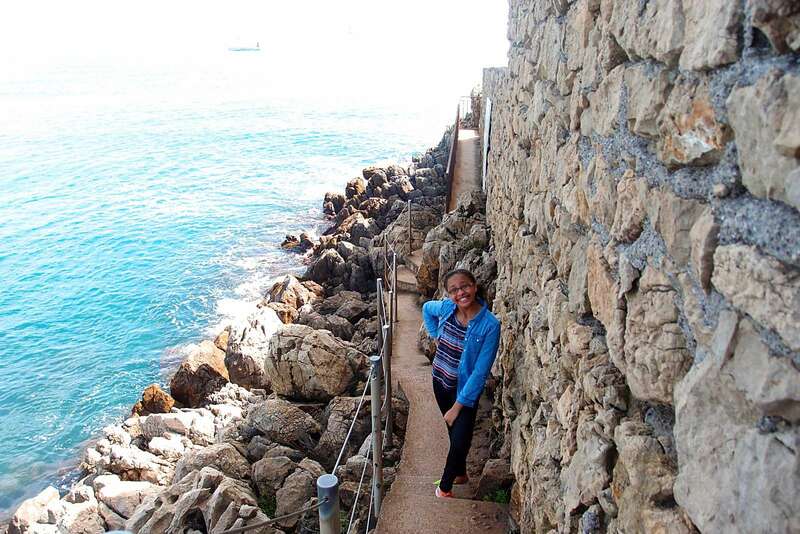 You’ve inspired me to take a stop here during our trip to the Cote d’Azur! Let me know if you go – I’m trying to plan a return trip myself! This is so helpful! I’m going in a month! THanks! Have fun! This hike is one of my most favorite things ever in life!